The case against Robert Kocharyan—the second president of Armenia and the predecessor of the recently deposed Serzh Sargsyan—concerns the so-called March 1 affair. On March 1, 2008, security forces cracked down on street protests over the disputed outcome of the previous month’s presidential election. Sargsyan, widely viewed as Kocharyan’s pick, was declared the winner at the time. The ensuing violence claimed ten lives—eight civilians and two police officers—and hundreds were injured. 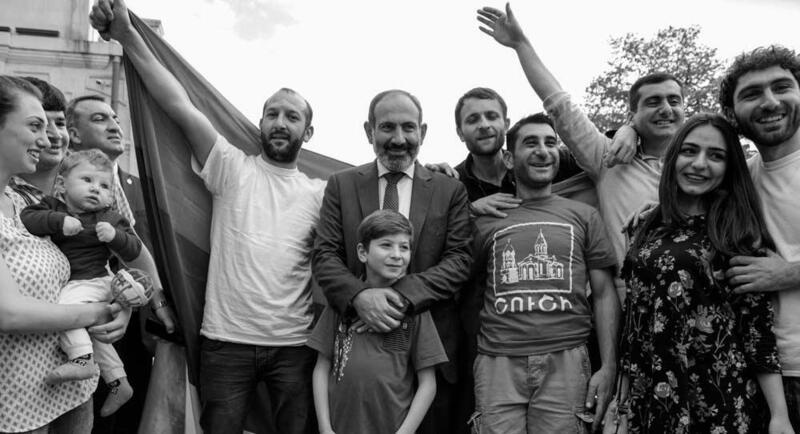 A state of emergency was declared in Armenia, with army troops deployed to Yerevan and many protest organizers and participants arrested or forced to go on the run, including Nikol Pashinyan, who is now prime minister. 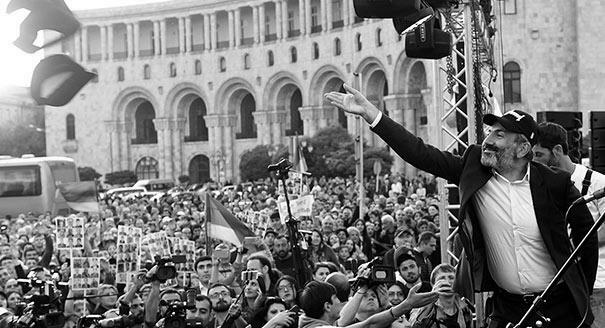 Sargsyan may have been the main beneficiary of the 2008 vote, but it is Kocharyan, then head of state and commander-in-chief, whom Armenians blame for the March 1 affair. Predictably, Kocharyan has denied the charges against him, which were announced on July 26. In an interview he gave a day before his arrest, he called himself a victim of political persecution and compared his predicament to Joseph Stalin’s Great Terror. The Republican Party, Armenia’s former ruling party, sided with Kocharyan, promising to bring the issue before the international community. The Armenian Revolutionary Federation, a coalition party taking part in the new Pashinyan government, also spoke out in support of Kocharyan, albeit much more cautiously. It has historically supported Kocharyan since 1998, when he ordered to drop criminal cases filed against the party’s members during the rule of his predecessor, Levon Ter-Petrosyan. For its part, the Armenian National Congress, Ter-Petrosyan’s party, enthusiastically endorsed the investigation, even though it is not part of the ruling coalition and can be formally considered an opposition party. In this context, the silence of Gagik Tsarukyan’s bloc, the third member of the ruling coalition, is quite telling: Tsarukyan’s Prosperous Armenia Party was reportedly established with Kocharyan’s help. Russia’s reservations extend beyond Kocharyan. Moscow was upset by the situation surrounding Collective Security Treaty Organization (CSTO) Secretary General Yuri Khachaturov, who served as Chief of the General Staff of Armenia under Sargsyan. He was charged in relation to the March 1 affair as well, but was released on bail in light of his high rank. Apparently, this was not enough for Moscow. Despite Moscow’s suspicions, this has nothing to do with either the Russo-Armenian relationship or the CSTO and the Eurasian Economic Union (EAEU). Armenian withdrawal from these organizations is highly improbable, and the country’s supposed pivot to the West is the stuff of imagination. One reason for Russia’s apprehension, and the tendency of observers to discuss the Kocharyan case in overwhelmingly geopolitical terms, may be that Kocharyan’s arrest is widely viewed as a precedent for the entire post-Soviet space. Admittedly, there had been cases of former heads of state being prosecuted, most notably, Georgia’s Mikheil Saakashvili and Ukraine’s Viktor Yanukovych. But this is the first time that a former president has been put under arrest and threatened with a real prison sentence. That said, the Kocharyan case is best considered through a local lens. Armenian society found the March 1 affair to be extremely painful, making it inevitable that a domestic political crisis would result from the investigation sooner or later. Charges were brought against Sargsyan’s predecessor but not Sargsyan himself. The fallen prime minister was not subpoenaed by the court and continues to occupy his official residence, which stands right next door to that of Pashinyan. Moreover, Sargsyan still heads the Republican Party, which remains the largest party in parliament, despite losing its absolute majority and some of its members. Sargsyan was once presented as Kocharyan’s man, but he was completely independent as president. Kocharyan did not play the role of the “gray cardinal” during Sargsyan’s presidency, with the two men having serious disagreements and Kocharyan’s political influence waning over time. So why did Kocharyan of all people find himself behind bars? Many now say that all three former Armenian presidents could face similar charges. After all, the events of 2008 were simply a repeat of a scheme perfected since the mid-1990s: a disputed election, street protests, and a crackdown on the opposition. As such, some critics of the new government ask: if Kocharyan is put on trial for his role in the events of 2008, why is Ter-Petrosyan not facing charges for a similar crackdown on protestors in 1996? Why is Sargsyan getting away with alleged electoral fraud during the 2013 presidential election? The answer is that the 2008 events were marked by an unprecedented degree of violence. The March 1 affair is Armenia’s Bloody Sunday, a time bomb that undermined Sargsyan’s legitimacy as Kocharyan’s successor and that of the entire Armenian political system. It is specifically Kocharyan whom many Armenians hold responsible for the March 1 affair. The symbolic importance of the events of 2008 for Armenian society has prompted the new government to take the case to its logical conclusion. Otherwise, it would lose the backing of even its most loyal supporters. Besides, the case serves the ongoing removal of old elites from power, a process that began in May 2018. 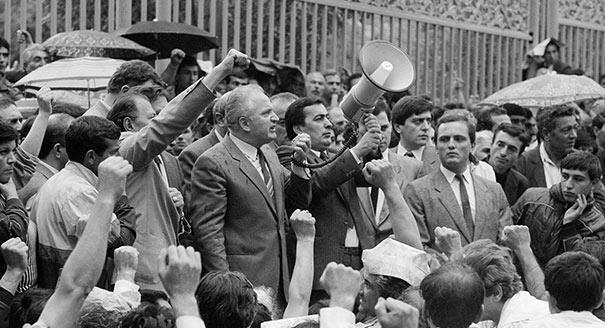 Armenian society needs the dark pages of history, especially those related to the March 1 affair, to be investigated. The new government cannot ignore the uncomfortable legacy of the past without losing many of its supporters. Yet if such an inquiry is taken too far, all of Armenia’s post-Soviet ruling elites will have to be put on trial, which is not what the new government wants to do. It needs to concentrate on formulating the new rules of the game, not settling old scores.